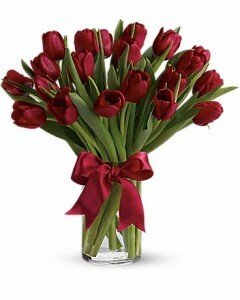 Radiantly Red Tulips Fresh Tulip Arrangement in Warrington, PA - ANGEL ROSE FLORIST INC. Romantic Red Tulips Arranged In A Clear Glass Vase. 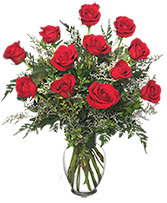 This Stunning Bouquet Includes Red Roses And White Miniature Calla Lilies Accented With Assorted Greenery. 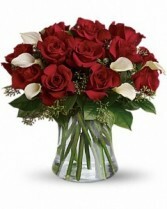 Declare your love all over again with red roses and white calla lilies in a dazzling clear glass vase. To keep the fire of love burning requires a little kindling every now and then. 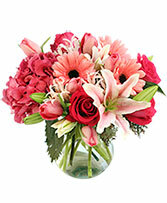 This romantic bouquet is guaranteed to fan the flames.